I can't seem to get enough of this new stamp set. 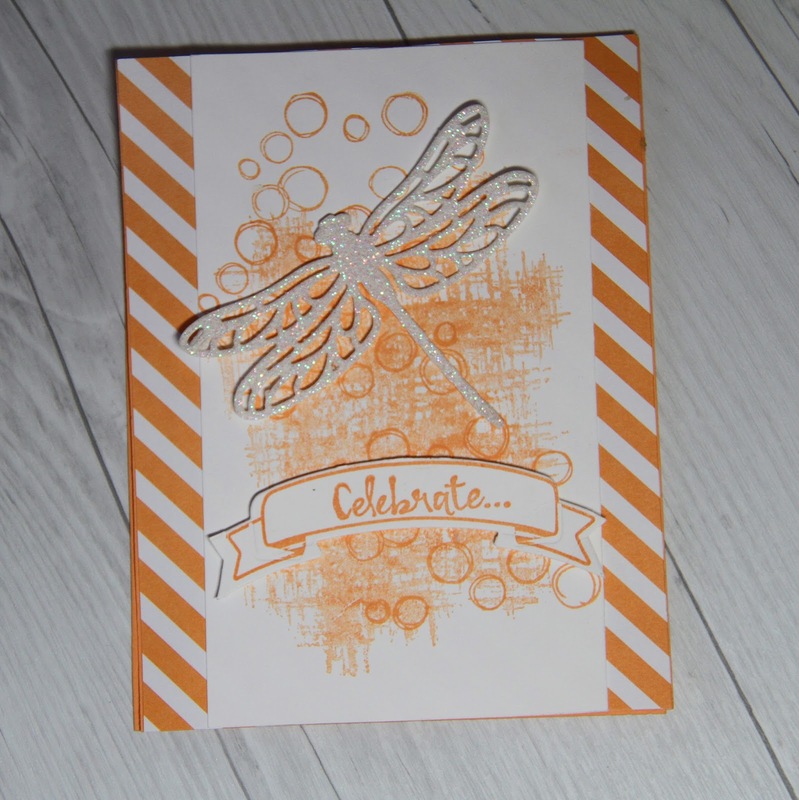 Dragonfly Dreams and the matching Detailed Dragonfly Thinlit Dies were the focus of this card. 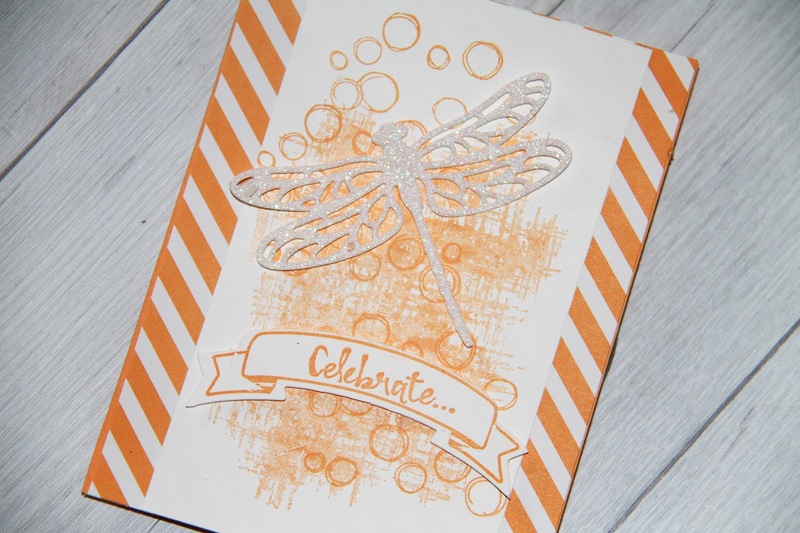 I used a couple of different background stamps to create the background for this card. The bubbles are from Playful Backgrounds and the other was from the You've Got this set--both from the main catalog -- and they coordinate wonderfully with the Occasions sets and dies. 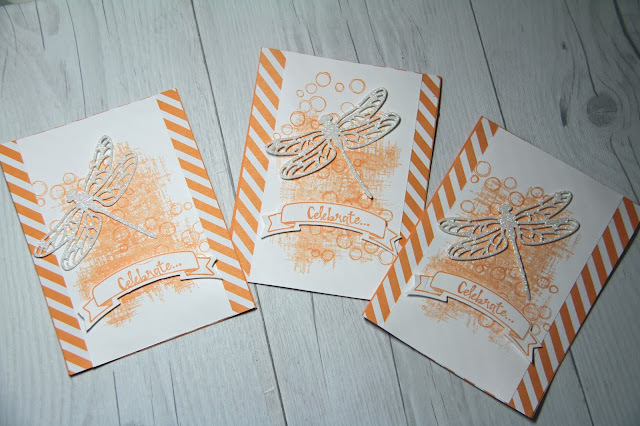 The sentiment banner was created using the Balloon Pop-Up Thinlit dies and the matching Balloon Adventures set, and the sentiment is from the Occasions stamp set called Beautiful You. 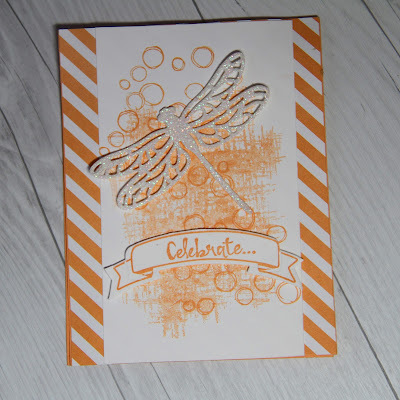 You can purchase the Dragonfly Dreams Bundle - -stamp set and thinlit dies -- for 10 percent less than buying them separately. Add a package of of Dazzling Diamonds Glimmer Paper and your purchase will qualify you for a free item from the Sale-A-Bration Brochure. 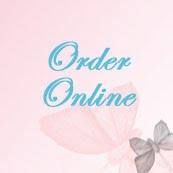 When you place your order, the order system automatically prompts you to select free Sale-A-Bration merchandise for each $50. 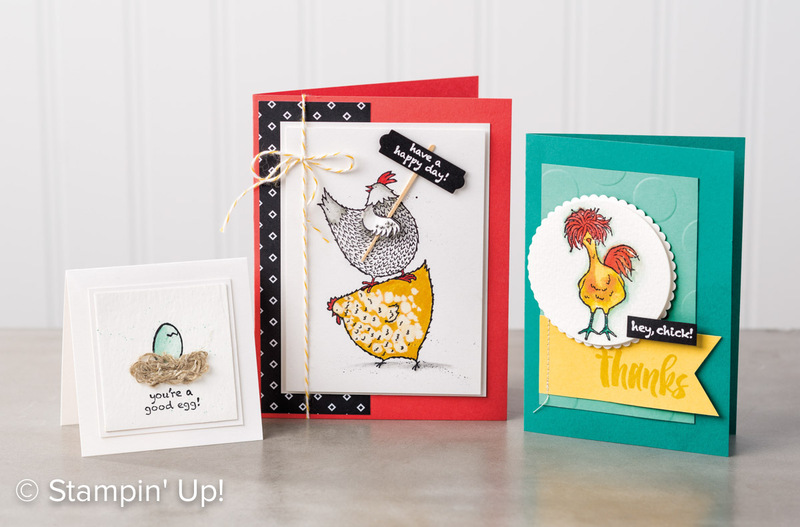 One of the most popular selections from the Sale-A-Bration brochure is this cute Hey, Chick set. 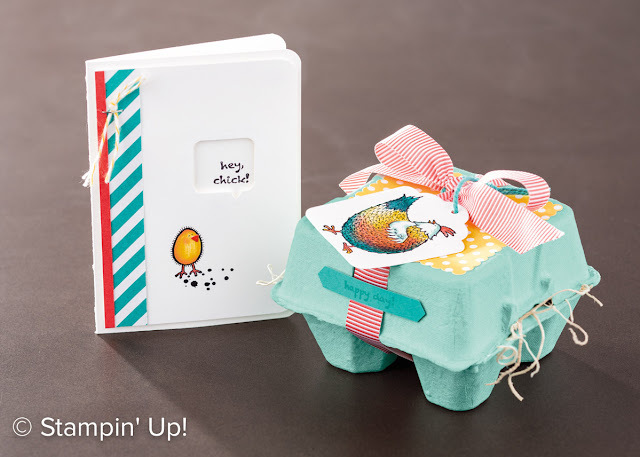 This set is so much fun to pair with the new mini Egg Carton from the new Occasions catalog. There are so many cute ways to use this set. This set could very well sell out before Sale-A-Bration ends, based on all the samples I've seen from other demonstrators. If you like this set, be sure to order it as soon as possible. Still need a copy of the new Occasions Catalog? The new Occasions catalog is now available, and you can download your free copy. Sign up as a hobby demonstrator for $99 and get $125 in merchandise you select plus an additional 2 free stamp sets. You can pick any stamps from the Occasions or Main catalog, like Letters for you for $49 and Remarkable You for $45. You still pay only $99 and you picked merchandise worth $219! Of course, you'll want to pick stamp sets that work best with your stamping style. Your kit also includes business supplies, catalogs, a Paper Pumpkin kits and your starter kit ships free! What a great way to fill your stamping wish list. As a demonstrator, your future purchases earn discounts of 20 to 25%. Or you might decide to turn your hobby into a business and earn extra money based on your sales and recruiting. 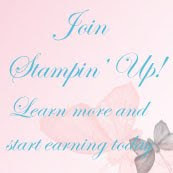 Contact me today and we'll discuss your starter kit order based on your crafting interests. Or if you know what you want in your starter kit, you can review paperwork and place your starter kit order on line. Want to purchase at a discount? Sign up for $99 and get $125 worth of product in your starter kit and two free stamp sets. Then enjoy your future purchases at demonstrator discount prices of 20% or more.